The affix “aus dem Elbe-Urstromtal” is as wellknown in the dogworld as the big “M” of McDonalds worldwide. The story behind it is the following. In the year 1971 I finally was able to have my own dog, as we (I was Miss Loest at that time) moved into a house with a garden. 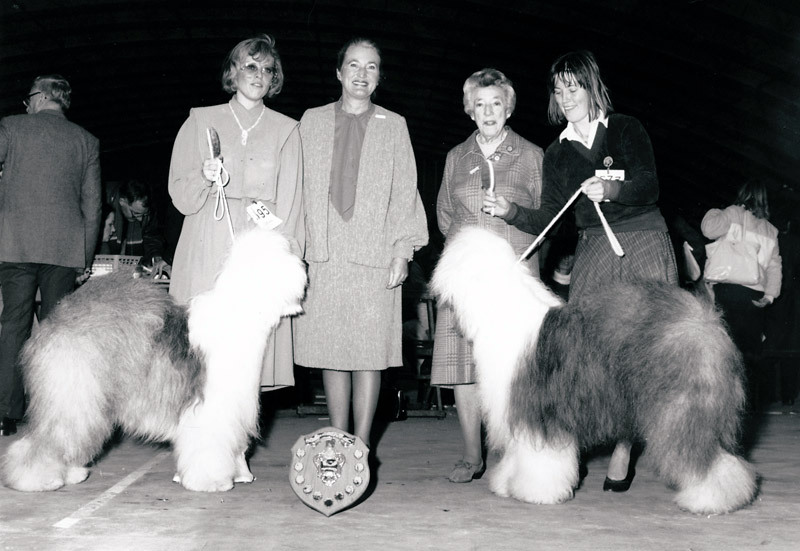 In those days, I was 15 years old, a lot of girls where in love with “Lassie” the Rough Collie. A girlfriend from school had a litter and wanted DM 400,00 for a puppy without pedigree! 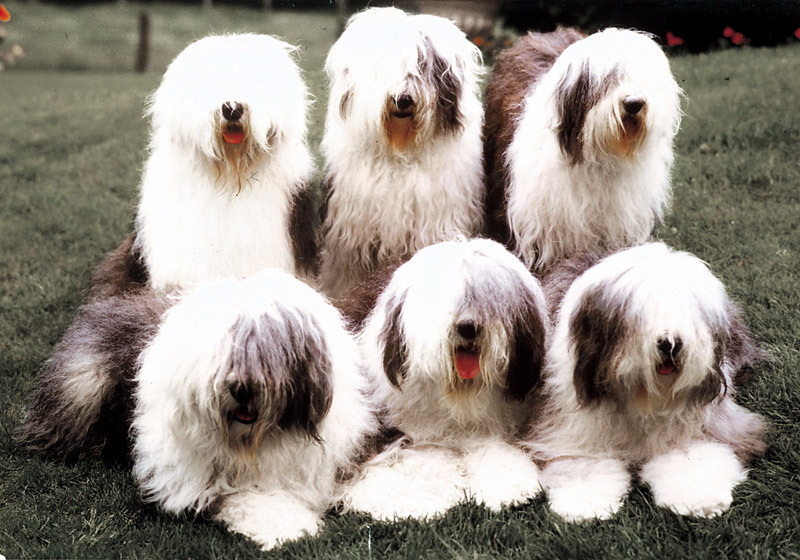 That was a lot of money for a schoolgirl and I thought: if I have to spend so much money, then for a real “Lassie” with a pedigree. I leant some dog magazines from a neighbour who bred Whippet’s, in order to find addresses of breeders in the Hamburg area. 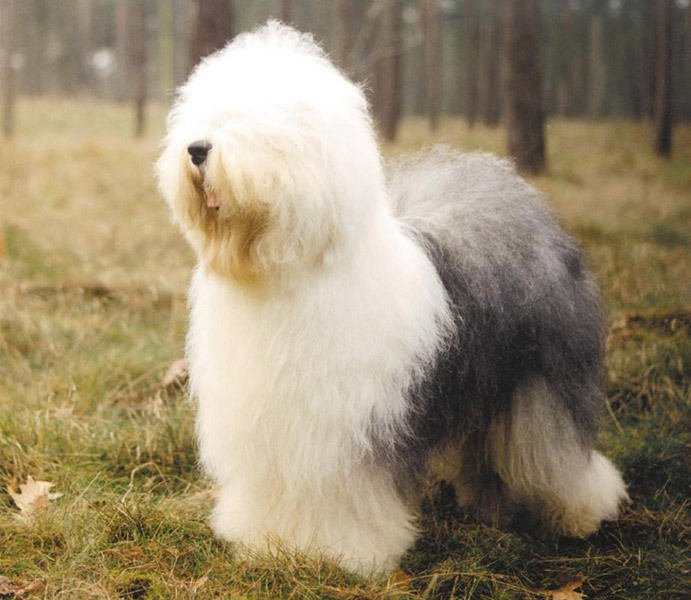 Whilst reading in the magazines my eye was caught by the picture of a giant woolly ball looking like a longhaired pandabear, with an even more heartmelting puppy. I fell in love and my decision was made: it had to be such a dog! 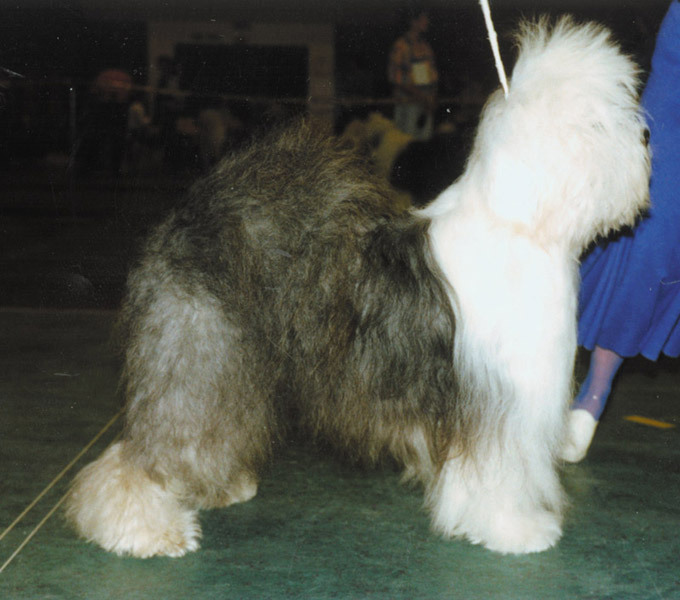 This dog was a Bobtail with the name “Shaggy Wonder Orpheus” being taken on the lead by a Bobtailpuppy called Lameda Sugar Plum” (the mother of my Ch. Orplids Andrella). 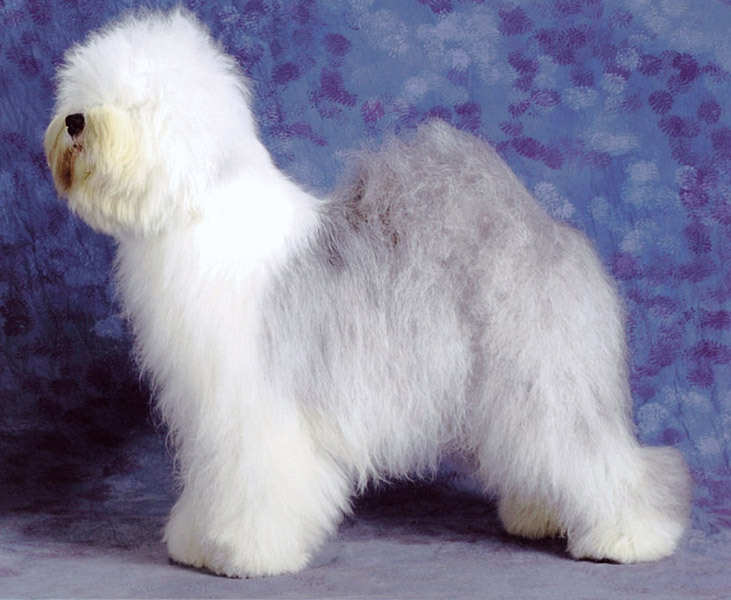 Immediately I looked in all the books available in order to get to know as much as possible about this breed. Finally, after a lot of searching, I found two addresses in the Hamburg area (there were only 5 breeders in the whole of Germany at that time). I wrote to them instantly and the Pünjer family in Glinde near Hamburg had a litter, one female was still available. The parents were “Shaggy Wonder Smart Guy” and “Shaggy Wonder Sharon”, and the price was DM 1.200,00. That was an enormous amount of money when you receive only DM 5,00 pocketmoney per week. So I cheated on the school and worked for 5 weeks, 6 days a week, in a supermarket for DM 3,50 per hour, and on Sundays in a senior citizens home from 7.00h. 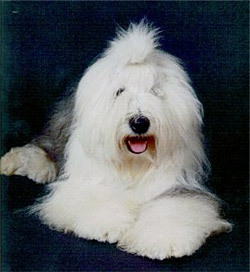 – 13.00 h.
Finally I had the necessary money together and I was able to buy my first Bobtail: “Cora vom Glinder Berg”. Together with “Orplids Andrella” she became the foundation of the Elbe-Urstromtal kennel. 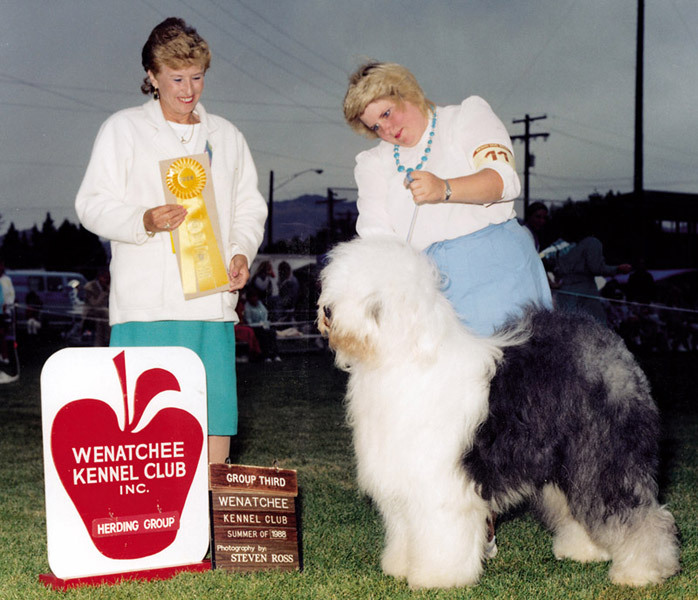 Also in the year 1971 this kennelname was registered at the FCI. 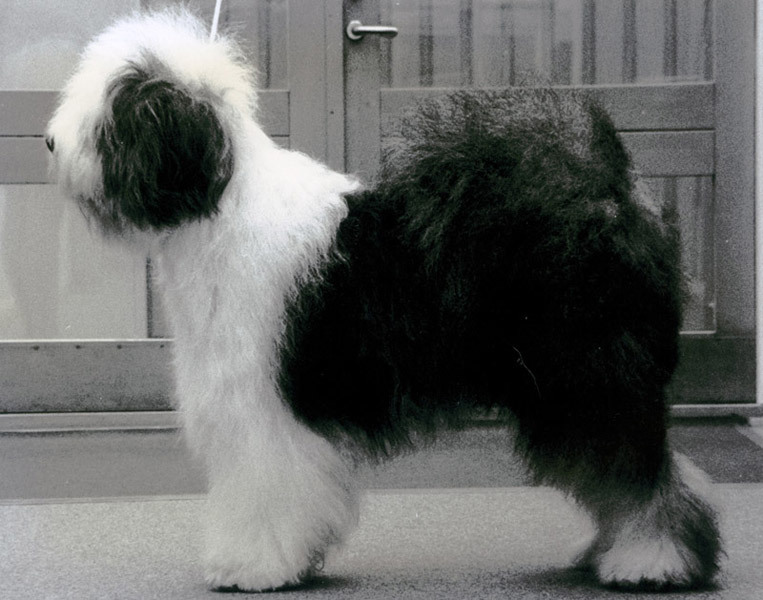 Originally I wanted, like everybody, to use the name of our street “vom Birkenweg”, but that was not very original and because the Bobtail is such an original, unspoiled and immense breed, I came out at the name of the original valley of the river Elbe in the ice-age. And I did not want “vom” (“from the”) like everybody, but “aus dem”(“out of the”). I have always been stubborn. The year 1973 brought me my first litter. 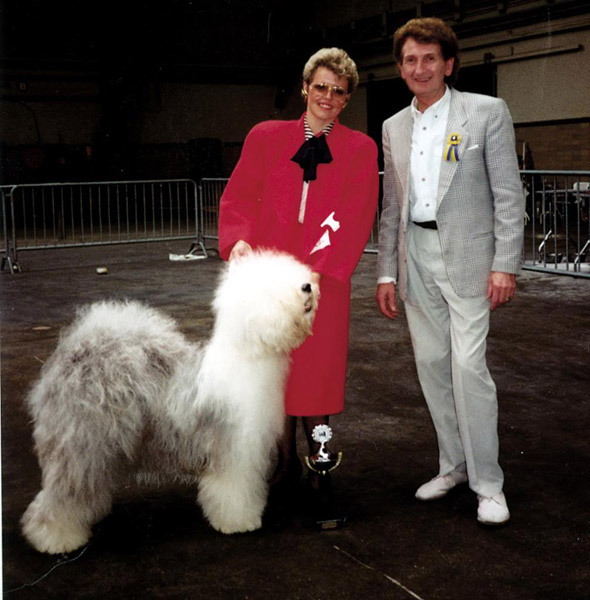 At a show in Neuss/Germany Mr. Robert Mitchell/GB judged and gave BOB to “Noakside Astronaut”. I liked this male a lot because he was so different to my girl. He became the sire of my fist litter. Only 2 girls were born “Appelsnut” and “Abigal”. 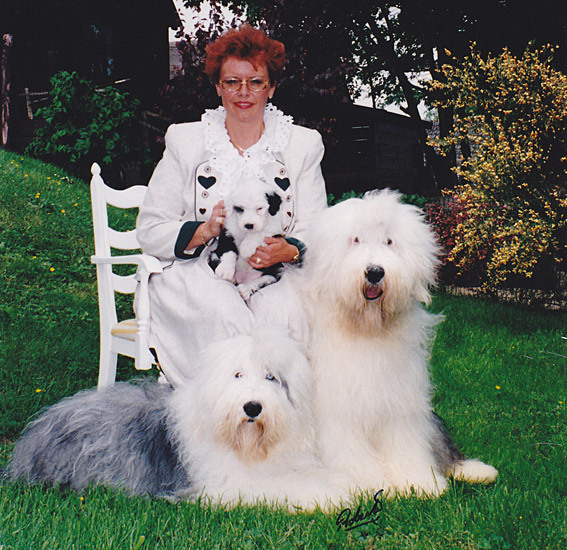 From 1988 I lived in Almkerk and since then also the beautiful “Firstprizebears” Bearded Collies became part of my life. During the mid-nineties I moved to the Ardennes in Belgium and since 2007 to Maaseik also in Belgium. 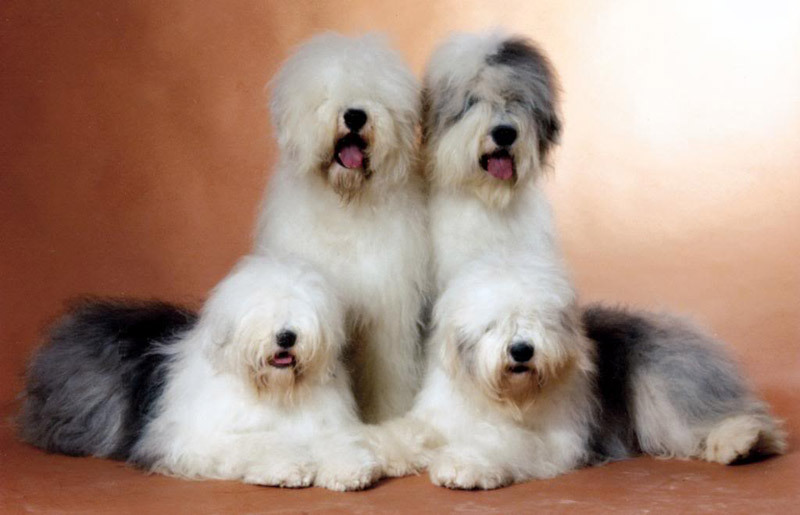 Their are quite a few dogs who are special like: Ch. Buckswood Desperado who sired 3 litters for my breeding. Ch. Kassenknüller aus dem Elbe-Urstromtal, this charming little male, who sired so many beautiful puppies and gave 17 Champion-children. 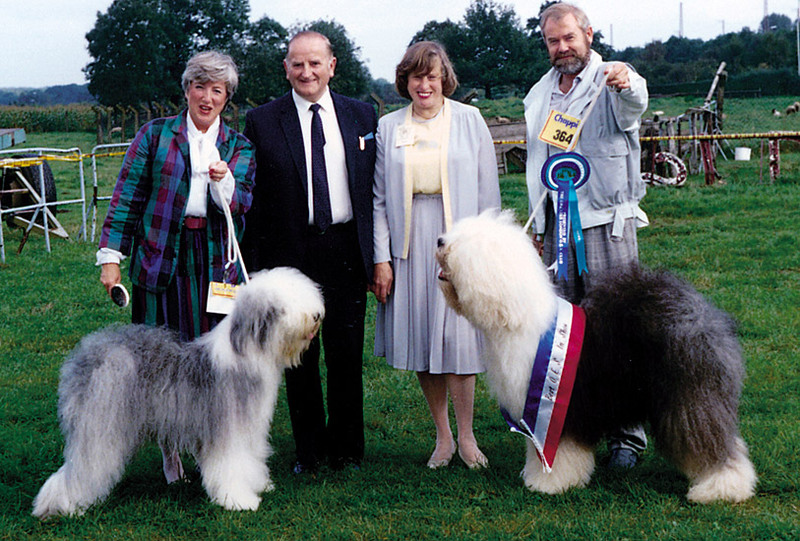 “Coco Chanelle-, Uniclever-, Now Available aus dem Elbe-Urstromtal” and of course my first UK-Champion and Cruftswinner Ch. 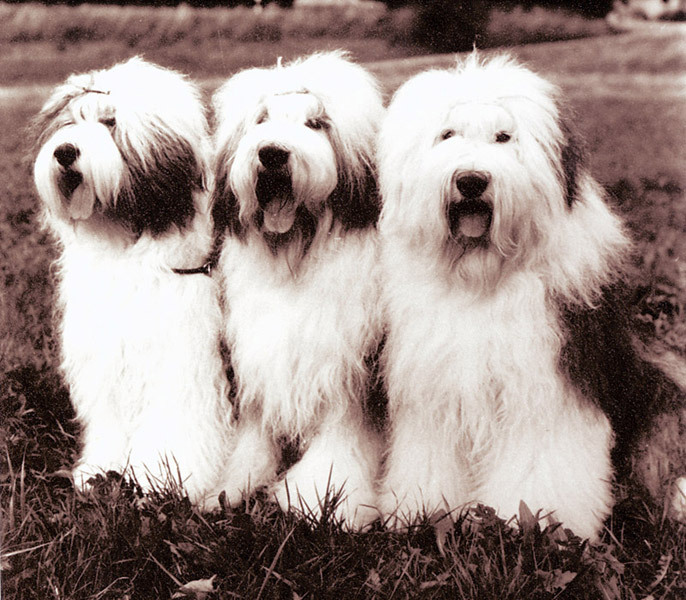 Y’Lookalike aus dem Elbe-Urstromtal”. And recent my Ch. Elbandita aus dem Elbe-Urstromtal and her beautiful daughter „Ch. Himmlisch aus dem Elbe-Urstomtal“. Not to forget our other boys like Ch. 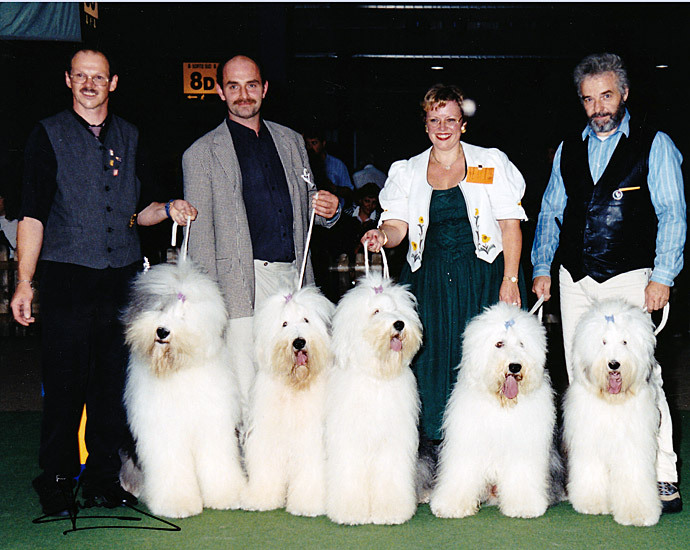 “Osborn aus dem Elbe-Urstromtal, Not for Sale- (Top dog all breeds 1999 in Holland), GB-Ch.Zermatt-, Ch. 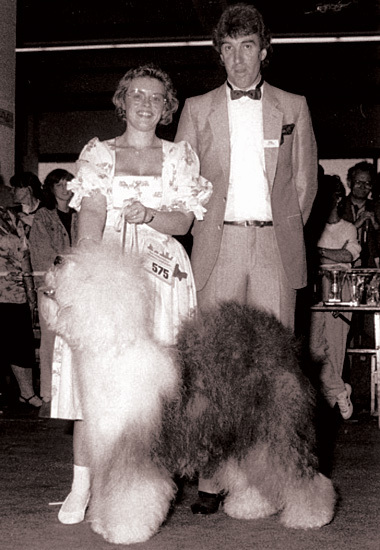 Zecret Zorro- (Top Winner all over Euorpe), and my Best in Show winning Ch. Eldorado aus dem Elbe-Urstromtal”. 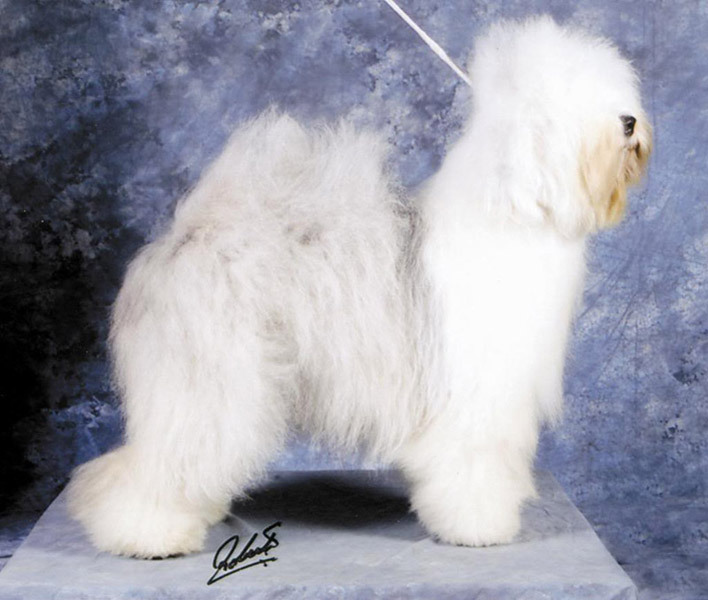 “Freddie” Ch Stonebroke California Breeze has also a special place in my heart, we had so many wonderful occasions at shows. 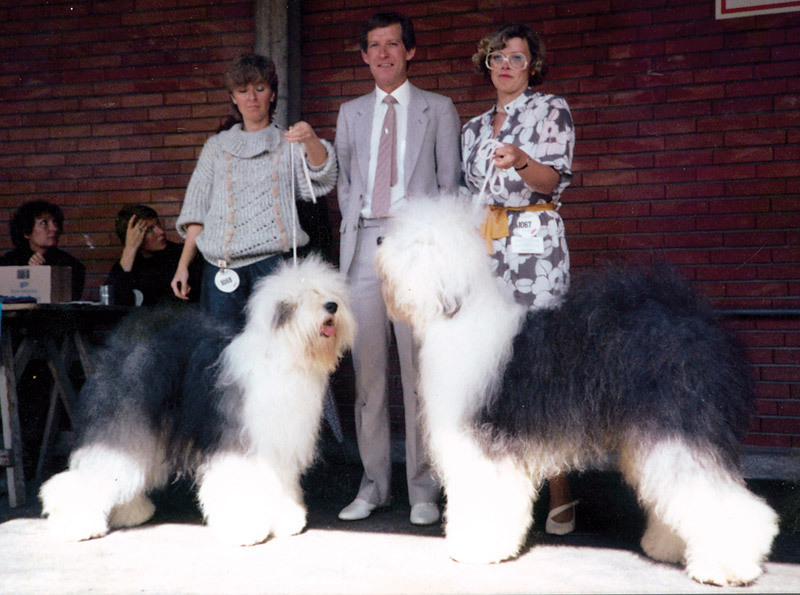 Breeding for almost 40 years gave me some nice pictures and memories of lovely dogs. Please allow me to share these with you.